Explore nearly 700 acres of parkland and coast on this delightful circular walk through the South Downs. 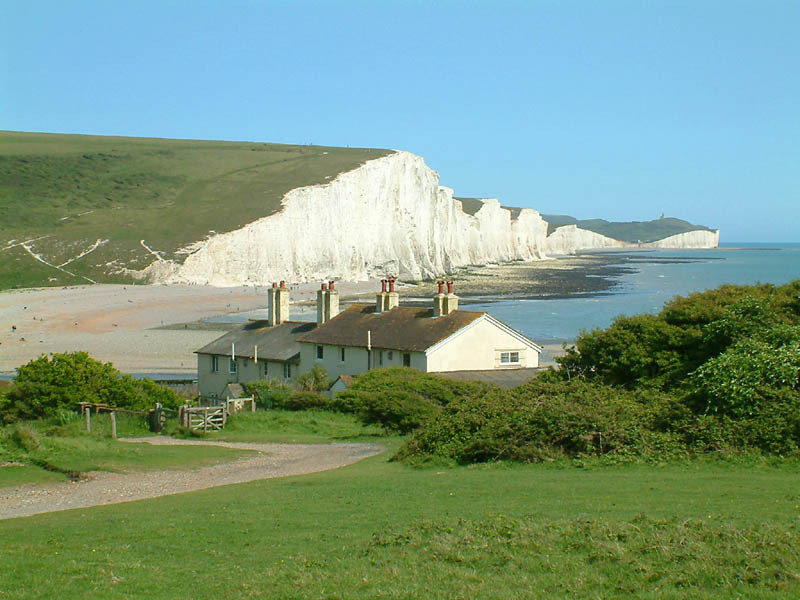 The Country Park is named after the famous Seven Sisters chalk cliffs on the Sussex Heritage Coast. On the route you will enjoy fabulous views of the Cuckmere river before heading towards the beautiful coastline. There are a number of footpaths and trails in the Park - further information and trail maps can be found in the Visitor Centre. Cycling is permitted on the valley floor and there is a concrete track which offers access to the beach. If you would like to do the Seven Sisters walk from London then you can catch a train to nearby Seaford from London Victoria station. You can then follow the coast path past Cuckmere Haven to the park. Alternatively you can catch the train to Eastbourne and visit the cliffs by walking along the South Downs Way via Beachy Head. If you'd like to continue your walking in the area then you could pick up the Cuckmere River footpath and head towards Alfriston and climb up to the Long Man of Wilmington. Our South Downs Circular Walk passes through the park. It will take you on a tour of the surrounding area, visiting Friston Forest and Birling Gap.